Magnolia Magic | Help! I live with my Italian mother in law! 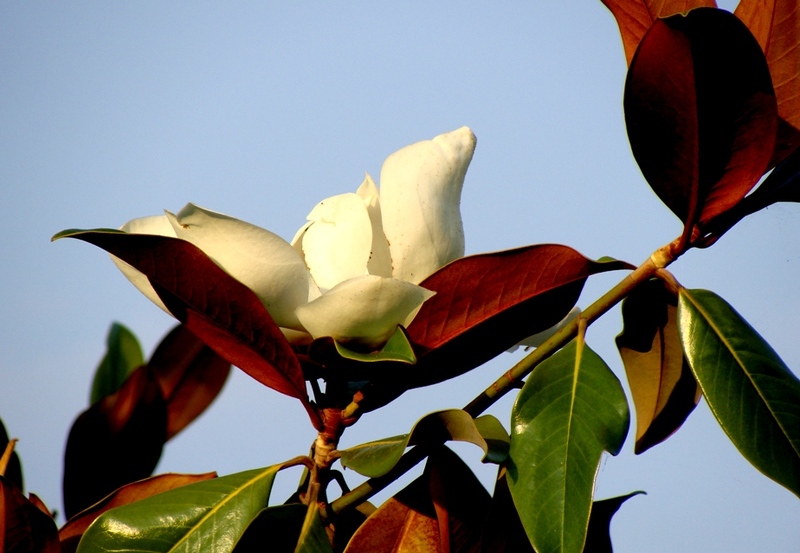 This is day two of the same magnolia I photographed in yesterday’s post. As you can see it has opened up to the sun now and is a beautiful flower. One of my favourite films is Steel Magnolia’s which is actually a very sad and true story about the life and death of a young woman…perhaps that’s what Elora meant by her comment that it’s only temporary. Today I also got a new visitor and some serious competition for my affections. I’ll call him “Rocky” because I don’t know his real name but he has certainly already duked it out with the farmer’s cats and I think by the looks of “Badboy” the new kitty has won the match. He is all black and has huge paws like a panther. He is also determined to make our house his new domain and I have had to run interference with the other cats and this young tough is showing no signs of backing down in the good fight. Should be interesting to see how this little drama plays out for the summer. 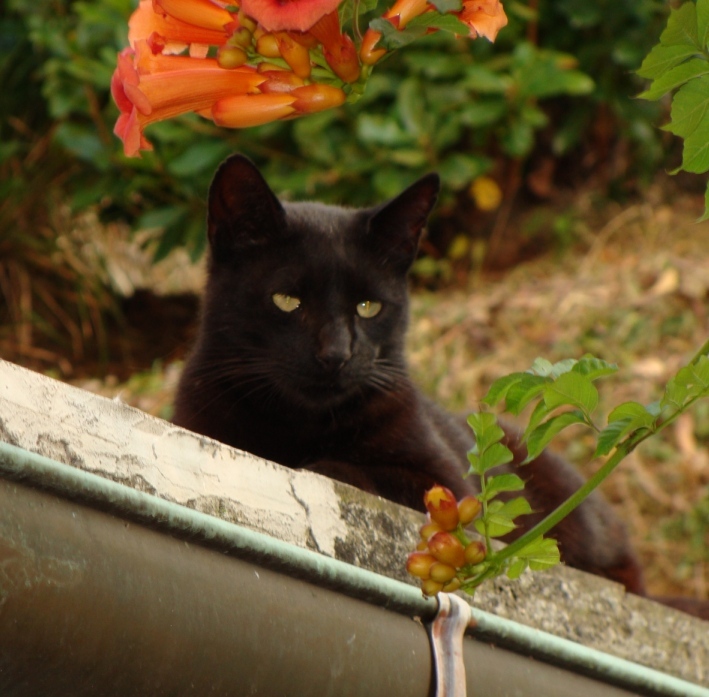 This entry was posted in Italian Culture, Nature and tagged cats, magnolias. Bookmark the permalink.